Bullet Girls goes the 'another world' route. 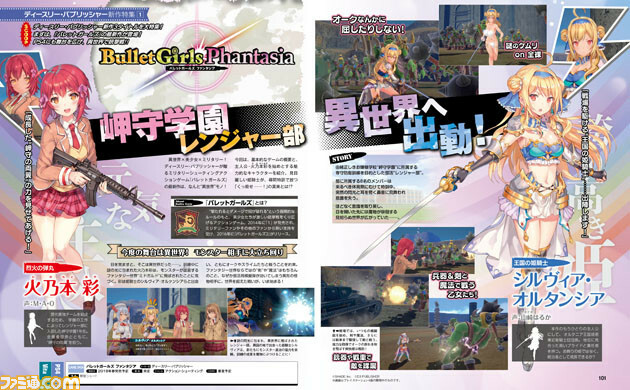 D3 Publisher and Shade have announced Bullet Girls Phantasia for PlayStation 4 and PS Vita. It will launch in Japan in spring 2018. Bullet Girls Phantasia is set in another world, where players will fight against monsters with weapons, swords, magic, small arms, and tanks. Players will fight alongside a “Buddy Character” for support. The “Pantsu Chirari Action” (PTA, underwear-showing action) and Interrogation Training systems from the previous games will also return.